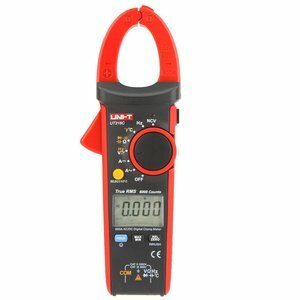 A clamp meter allows to measure AC/DC using simple non-contact method, with the ferrites and electromagnetic induction. 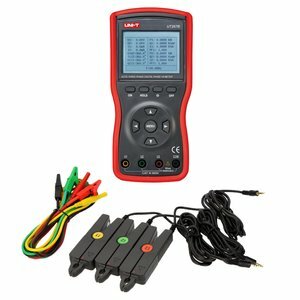 An irreplaceable instrument for the autoservices, and for work with electrics and power electronics. The reliable digital clamp meter measures AC/DC voltage and current, resistance, frequency, capacitance, duty cycle and performes diode check and continuity test. 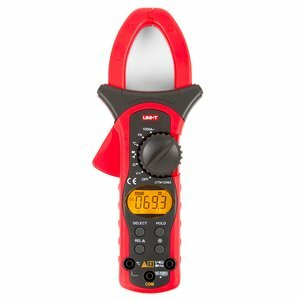 The clamp multimeter measures AC/DC voltage and current, resistance, frequency, duty cycle, also performing diode check and continuity test. The reliable clamp multimeter measures AC/DC voltage and current, resistance, frequency, duty cycle and performes diode check and continuity test. 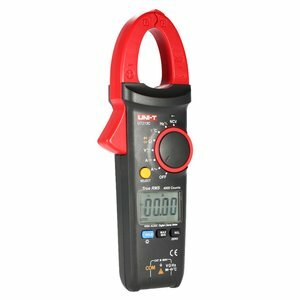 The reliable digital clamp meter which measures AC and DC voltage, AC current, resistance and performs diode check and continuity test. 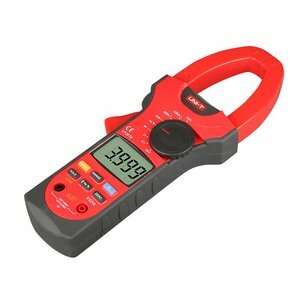 The clamp multimeter measures AC/DC voltage and current, in-rush starting current, resistance, frequency, duty cycle and temperature, also performing diode check and continuity test. The clamp multimeter measures AC/DC voltage and current, resistance, frequency, duty cycle, temperature, and performes diode check and continuity test. 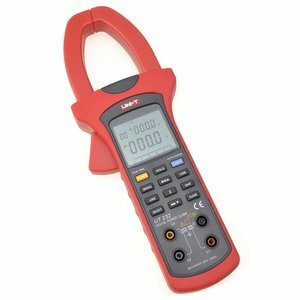 Digital clamp meter measures AC and DC voltage, AC current, resistance, frequency and temperature, also performing diode check and continuity test. 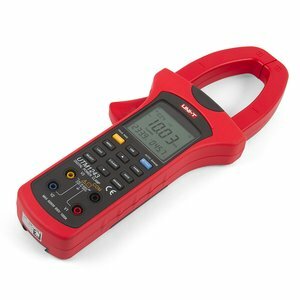 The reliable True RMS digital clamp meter for measuring AC/DC current, AC/DC voltage, resistance, frequency and performing diode check and continuity test. 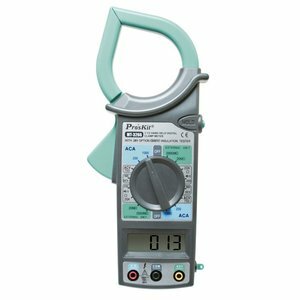 Measures AC voltage and current, active, apparent and reactive power, frequency, active energy. Supports PC-connection. 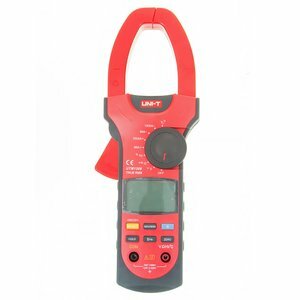 The reliable digital clamp meter for measuring AC current, AC/DC voltage, resistance and performing diode check and continuity test. 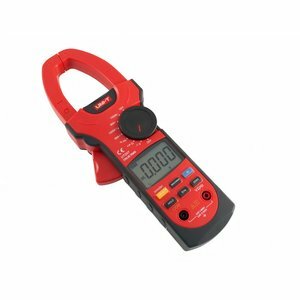 The reliable True RMS digital clamp meter measures AC voltage and current, active power, apparent power, reactive power, power factor, phase angle, frequency and active energy. 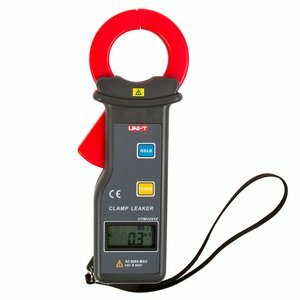 High-precision clamp meter designed for the measurement of AC current leakage. Range: 0.001 mA - 600.0 A. 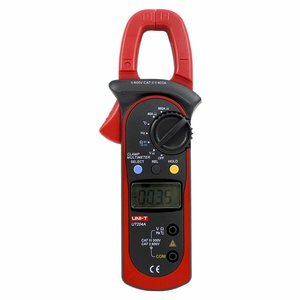 The power meter measuring AC voltage and current, active, apparent and reactive power, temperature, frequency, active energy.Supports PC-connection. 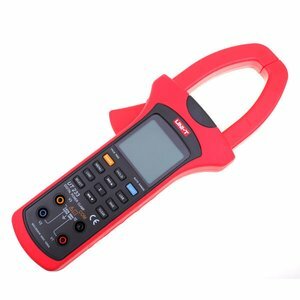 The clamp multimeter with overload protection measures AC and DC voltage, AC current, resistance and temperature, also performing diode check and continuity test. Handheld digital clamp meter that can measure voltage, current, active power, apparent power, reactive power, power factor, phase angle, frequency, active energy and phase sequence. 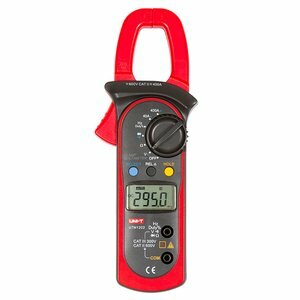 Designed for measuring three-phase AC voltage and current, phase angles between voltages, currents or both, frequency, phase sequence, active, reactive and apparent power, power factor, sum of current vector. 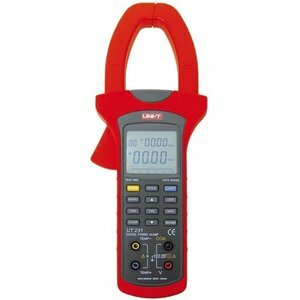 Large high-precision clamp meter designed for the measurement of AC current leakage, current and voltage. 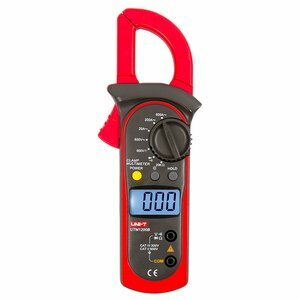 Range: 0.001 mA - 2000 A. 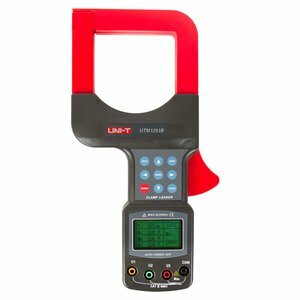 Digital clamp meter for measuring AC/DC voltage and current, in-rush starting current, resistance, frequency, duty cycle and temperature, and performing diode check and continuity test. 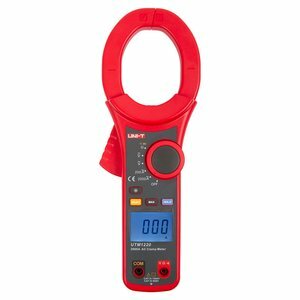 Digital clamp meter for measuring AC/DC voltage, AC/DC current, resistance, capacitance, frequency and temperature, performing NCV test. 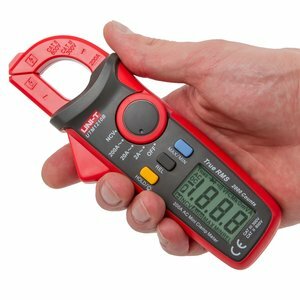 True RMS mini clamp meter for measuring AC current up to 200 A.